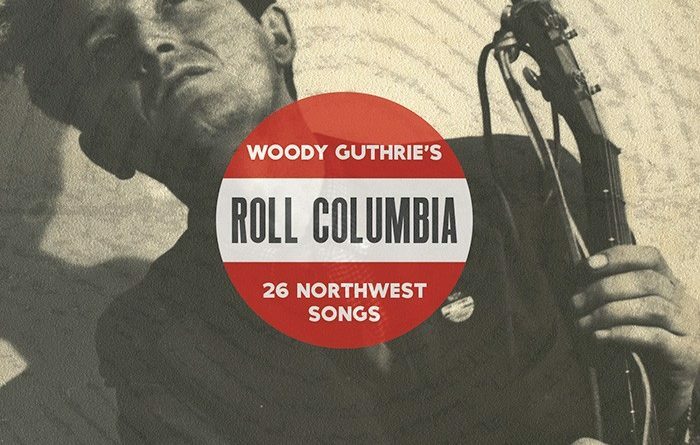 A Woody Guthrie renaissance started last year, with the publication of Greg Vandy and Daniel Person’s 26 Songs in 30 Days: Woody Guthrie’s Columbia River Songs and the Planned Promised Land in the Pacific Northwest. The book told the story of how Guthrie was hired to write songs for a documentary film the Bonneville Power Administration planned to make, about the power of the mighty Columbia River that was being harnessed by the Grand Coulee Dam to provide electricity. Guthrie himself only recorded 17 of the songs; Roll Columbia marks the first time all 26 songs have been recorded. “Roll On Columbia, Roll On” is the best-known number of the bunch, performed by Steve Einhorn and Kate Powerhere and given a simple straightforward arrangement; two guitars, two vocals. It remains a vivid depiction of the region from the “Green Douglas firs” to the “oceans so blue”; it’s a song bursting with pride. But while the intention of the songs was the celebrate the wonders of the Great Pacific Northwest, there are little asides throughout that address the political concerns more commonly associated with Guthrie’s work. “Columbia Talkin’ Blues” (performed by Carl Allen) merely makes a joking political reference salmon about who “Just like a president/they run every four years.” But “Lumber Is King,” delivered in a piercing fashion by Cahalen Morrison, is more pointed in its observations about the decimation of the forests. This song is also unique in the Guthrie only wrote the words and not a melody; fellow folkie and Guthrie friend Pete Seeger ended up writing the tune. The set’s co-producers (Joe Seamons and Bill Murlin) also note that this is the first audio recording of the song ever made. There’s a wry humor at work too. “The Biggest Thing That Man Has Ever Done (The Great Historical Bum),” by Caitlin Belem Romtvedt (vocals, fiddle — not violin, fiddle), David Romtvedt (accordion, vocal), and Joe Seamons (guitar), links the construction of the Grand Coulee to other mighty American accomplishments of the past (like winning the Revolutionary War), along with a verse that looks to the future, taking on Hitler (“We’ll blow his soul to hell”). And what to make of the lyric change of “It Takes a Worried Man to Sing a Worried Song,” which becomes “It Takes a Married Man” to sing that worried song? Well, there was obviously some personal relevance for Guthrie, whose marriage broke up after he’d completed his NW writing project. Jason and Pharis Romero turn in a sharp version of this number. Of the performers on the compilation — all of whom reside in the Pacific Northwest — the best known will be R.E.M.’s Peter Buck and the Young Fresh Fellows’ Scott McCaughey (who later joined R.E.M. ), who turn in fine renditions of “Washington Talkin’ Blues” and especially the electrified, foot-stompin’ “Grand Coulee Powder Monkey.” The latter is another song never recorded until this album. There’s a couple of different “Talkin’ Blues” on the album and they’re all fun to listen to; numbers where you really have to pay attention to the lyrics. And there’s a nice contrast in the “Jackhammer John” songs presented on the set. “The Ballad of Jackhammer John” (Cahalen Morrison, vocal, Joe Seamons, banjo, Jon Neufeld, guitar) is a rollicking story song, in which folk heroes like John Henry and Paul Bunyan make guest appearances. Conversely, Martha Scanlan’s (guitar/vocal) and Jon Neufeld’s (guitar) take on “Jackhammer Blues (Jackhammer John)” is slow and mournful, meant to reflect on the downside of all that development; the destruction of the natural habitat, and Native American lands, all for the “greater good” (there’s also a more straight ahead take of the song by Orville Johnson). The liner notes state that these future negative impacts of the dam were overlooked at the time Guthrie wrote his songs, though he was unhappy about the resultant pollution brought about by the dam’s construction. “We have not sought to update his song lyrics to reflect today’s realities,” Seamons writes. Which is only right; history shouldn’t be revamped to suit current tastes, as it removes the songs from their original context (though he also writes “We have excised the few verses that we found extraneous or offensive”). And while the liner notes are extensive, co-producer Seamons recommends picking up the Vandy/Person book for a more detailed account of this period in Guthrie’s career. 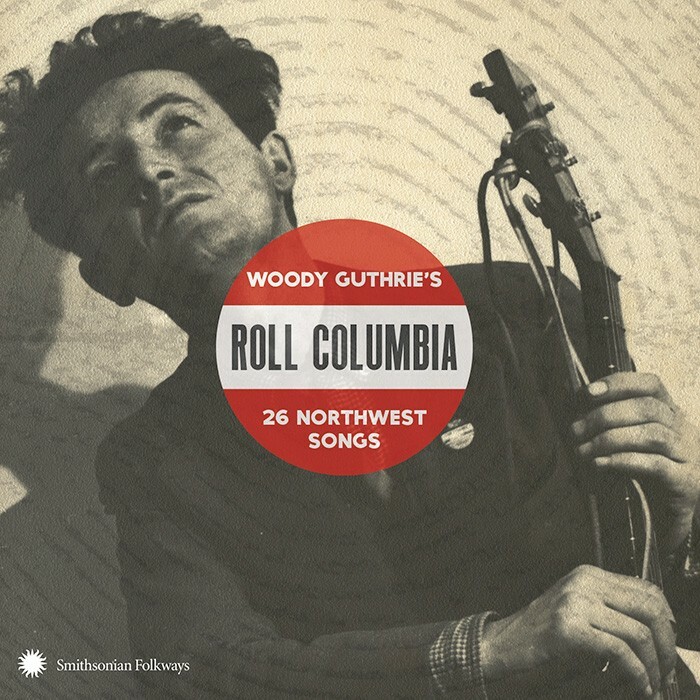 And since nothing is like seeing a song brought to life in live performance, consider checking out a terrific Guthrie-themed show playing at the Seattle Repertory Theatre until January 29, Woody Sez: The Life & Music of Woody Guthrie. It’s an overview of Guthrie’s life with a decided political slant, as you’d expect of a show that features songs like “The Ballad of Tom Joad” and “I’ve Got to Know.” The stellar performances of the cast will have you tapping your foot and singing along, reminding you of the power of words, and the power of songs to convey them. Guthrie’s songs chronicled hard times — and helped you to get through them, as well. Seattle Repertory Theatre’s Woody Sez: The Life and Music of Woody Guthrie.